Ok, everyone! Here is the dessert for any, and I do mean ANY occasion. It works for a group. It works for adults. Kids love it. It is fancy. It is casual. It is quick. It is easy. You can even make fantastic variations with virtually no risk. And, it is entirely possible you have all of the ingredients in your pantry and refrigerator right this minute. What is this magic, you ask? 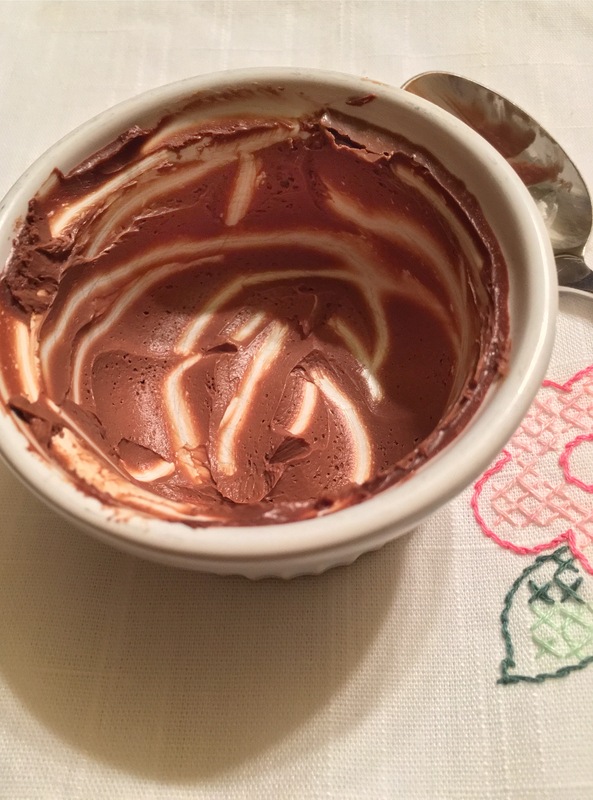 I present to you…Chocolate Pots de Creme. What? That’s just chocolate pudding, isn’t it? Not at all! 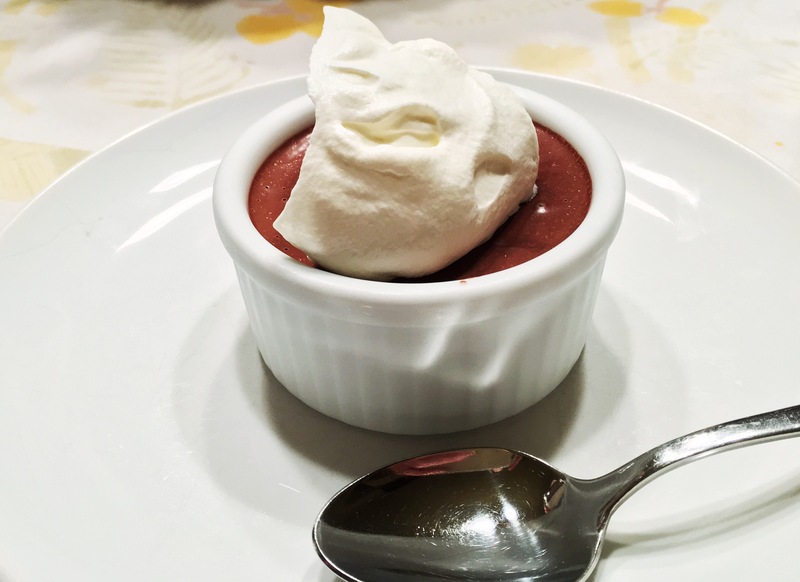 A Pots de Creme is a smooth, super-dense, intensely flavored dessert. Not too sweet, just the way I love it. While the ingredients are the same as a pudding, this recipe is even easier than making a homemade pudding. Just heat some milk to the simmer point. Toss everything else in the blender. Blend. Pour the hot milk in. Blend again. Pour into dishes. Refrigerate at least 30 minutes. Serve. Could anything be easier? Exactly. 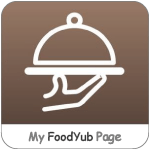 You need to try this. Today. The key to making this as delicious as possible is using your favorite chocolate. Since there are few other ingredients, the flavor of the chocolate is important. I like bittersweet chocolate (72% cacao or more), but feel free to choose semi-sweet if you prefer. Several companies make delicious bittersweet (60%) chips. You can use chocolate chips, bars, or a combination of the two. You can also add flavor, for example, almond or mint extract, or a liqueur such as Grand Marnier. These variations are all delicious. 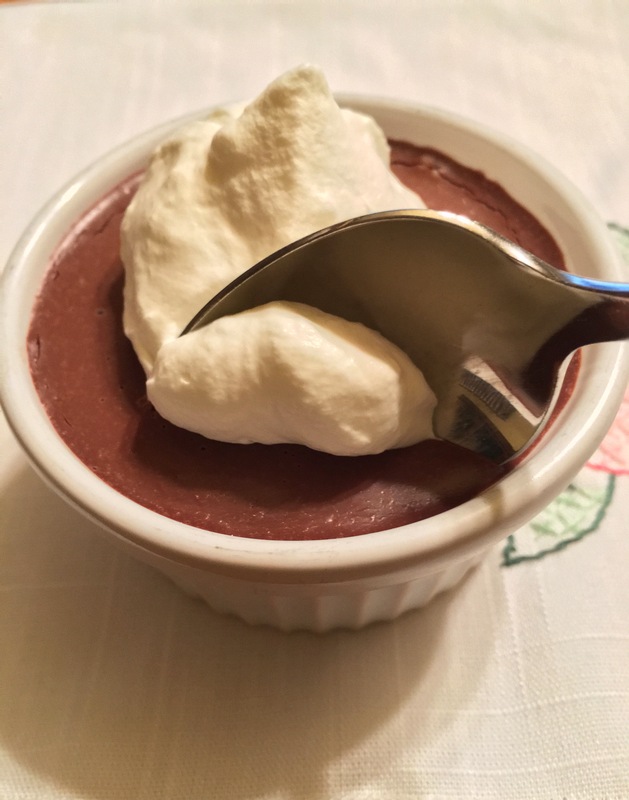 So give these Quick Pots de Creme a try! Enjoy! In a small pan, heat milk until it is steaming and bubbling at the sides of the pan. 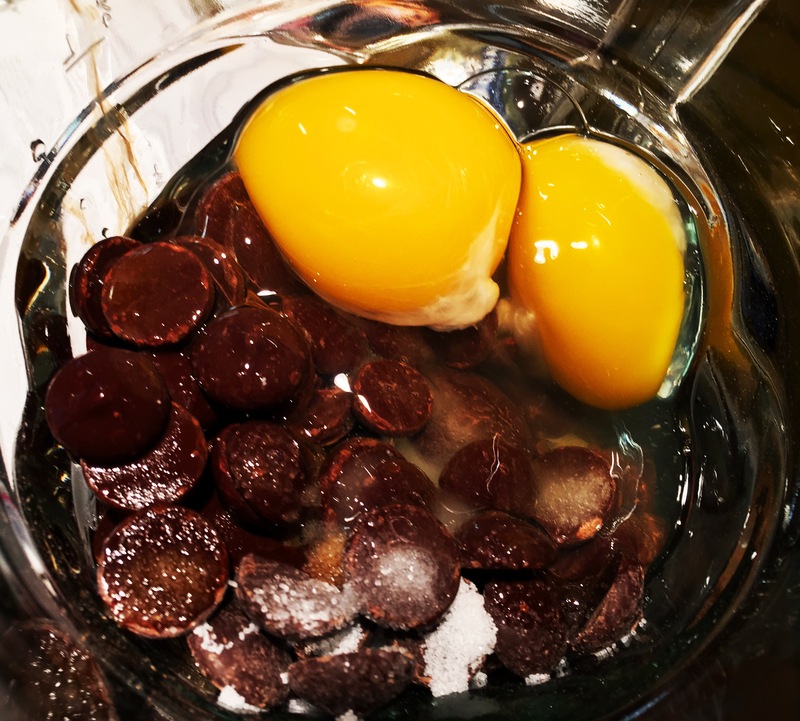 Into a blender, place the chocolate, sugar, salt, eggs, vanilla and/or liqueur if using. Blend until combined and thick. With the motor running, slowly pour in the hot milk. Blend an additional minute. Pour into 6-8 small dishes or ramekins. Chill at least 30 minutes, up to 2 days. Whip cream and 1T sugar. 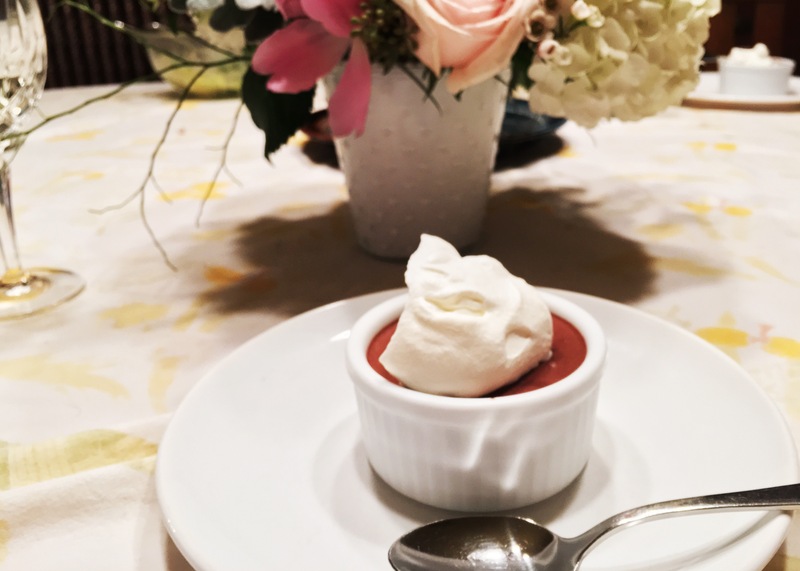 Top Pots de Creme and serve.